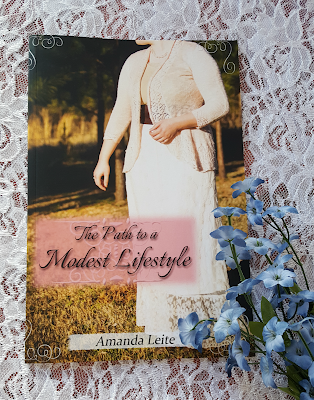 Today I'm excited to share with you a new book -- and giveaway -- about godly modesty: The Path To A Modest Lifestyle, written by Amanda Leite! When you're obeying His commands and serving the Lord there is a certain satisfaction that you feel. Serving Him brings you great joy and pride. But what about giving yourself and your life to Him entirely? In giving Him your life, that includes giving Him your appearance, your attitude and your heart's desire. You are a daughter of the one true King. It's time to step into the life that God has meant for you to live; one filled with confidence in your natural beauty and grace. Let His glory shine through you, bringing His light to the world. Within these pages you'll learn to unlock your natural beauty that God has given you. As someone who struggled with modesty in the past, I was very interested to see what Amanda had to share. The Path To A Modest Lifestyle was a very gracious read that I was able to finish in one sitting. 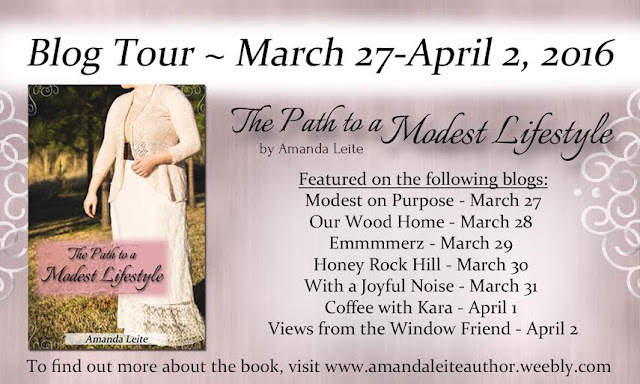 Amanda openly shares her own story about modesty and femininity and how the Lord taught her through that journey. A couple of attributes about The Path To A Modest Lifestyle stood at to me in particular. First, I loved the gentle approach Amanda took in her book. Sadly, the topic of modesty is, too often, a stronghold for legalism where the commandments of men, rather than the word of God, rules. I truly appreciated how Amanda laid out the importance of modesty, while at the same time giving liberty for different styles and convictions. Second, I was thankful for the discreet manner Amanda used when giving biblical reasons for modesty. This is a book I would feel very comfortable handing to young girls; I can't say that for all books I've read on this topic. I would especially recommend The Path To A Modest Lifestyle for anyone who has preteen or young teen girls who need a gentle voice about how to dress for God's glory! The Path To A Modest Lifestyle is available on Amazon but stay with me for how you can join a giveaway for a free PRINT copy of The Path To A Modest Lifestyle!! 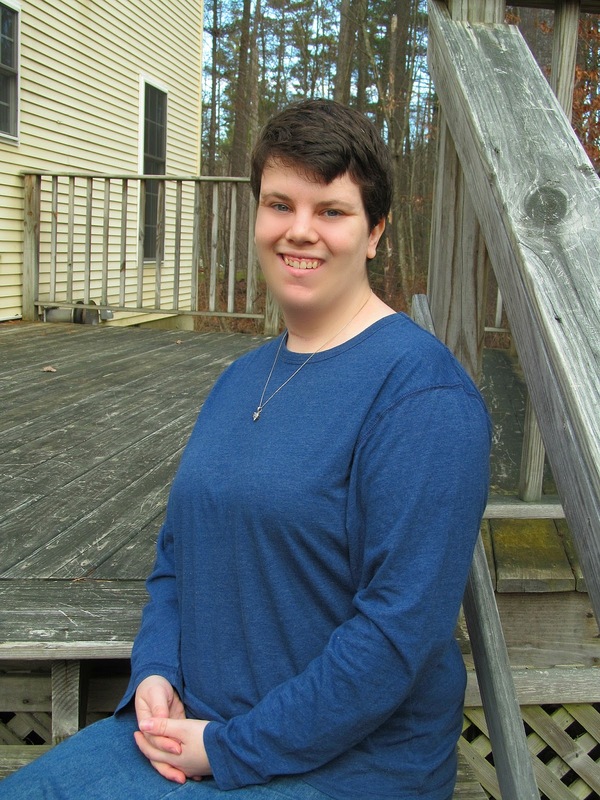 Amanda is the wife to a wonderful husband, daughter of the one true King, cancer survivor, and Oreo lover. Amanda currently lives in Vermont with her family where she writes her blog: apinchoffaith.com. 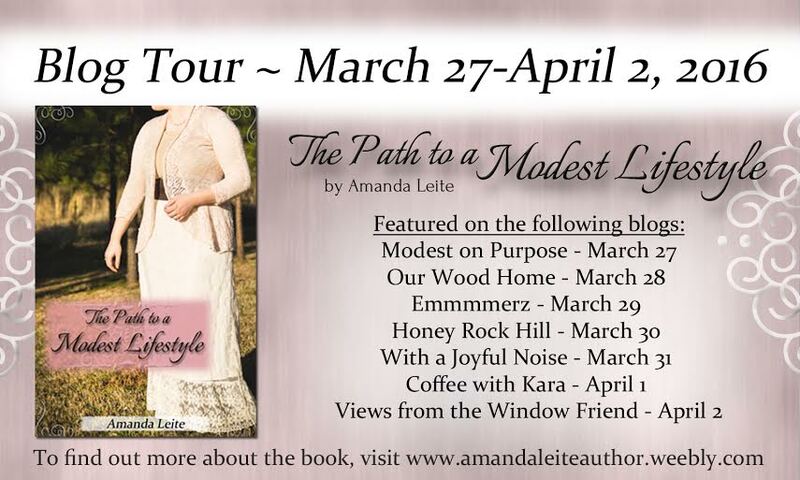 My post is also part of a week long blog tour honoring the release of The Path To A Modest Lifestyle. Hop on these blogs to read other Christian's thoughts on The Path To A Modest Lifestyle! Ashley!!! Amanda will be in touch with you shortly. Congratulations on your new book! !